As Industry Programs Director at Hot Docs Canadian International Documentary Festival, Elizabeth Radshaw curates the conference, workshops and market events. Elizabeth Radshaw oversees the Hot Docs Collection, a family of documentary films that have screened at past Hot Docs festivals, received financing through one of Hot Docs’ production funds or have been selected to participate in the Festival’s premium film financing programs; and directs the Shaw Media-Hot Docs Funds for Canadian documentaries, Hot Docs-Blue Ice Group Documentary Fund for filmmakers living and working in Africa, and the CrossCurrents Doc Fund for emerging doc makers fromhistorically underrepresented communities. 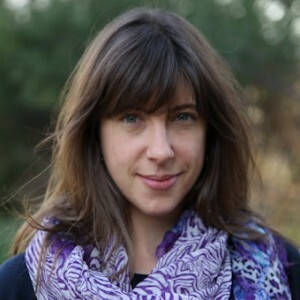 At Hot Docs she curates the conference, workshops and market events. The marquee events are the Hot Docs Forum and Hot Docs Deal Maker, both unique pitching forum and work-in-progress meeting services that put filmmakers in front of financiers. She leads delegations of Canadian documentaries to festivals and markets around the world, cultivating relationships and funding opportunities for filmmakers. Prior to this appointment, Elizabeth was the Head of Acquisitions at TVF International, joining from the National Film Board of Canada, and has a history of dramatic and factual production of film and TV in North America. She was an elected member of Pact Council in the UK in 2007 and directed the Brooklyn-based Rooftop Short Film Festival at its Montréal premiere in 2005.